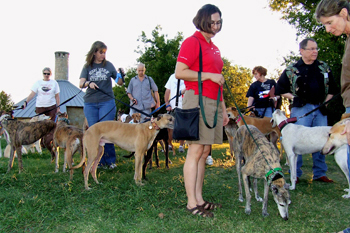 People and greyhounds converged on Arbor Hill Nature Preserve in Plano for a very special event. 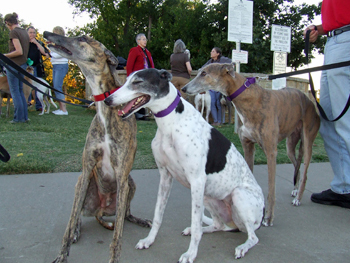 The Blessing of the Hounds and Memorial Service was a time to remember those who are waiting for us at the Rainbow Bridge and a chance to get a special blessing for our living greyhounds. 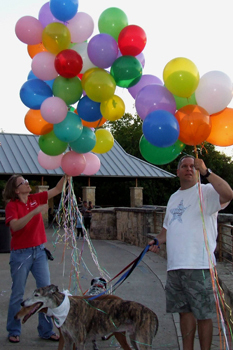 A balloon release marked the end of service. 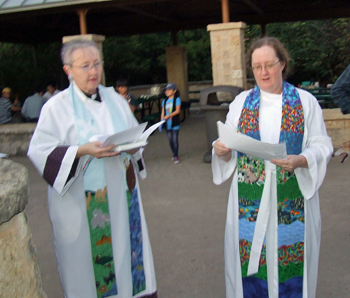 Special thanks to our two officiants, Reverend Melissa Bitting and Reverend Christine Ng.